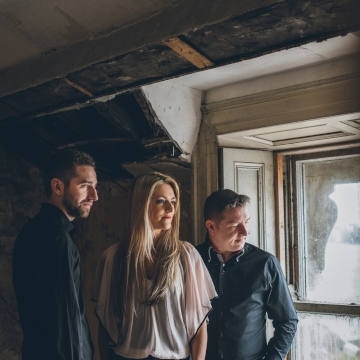 The McPeake Family have been whispered as ‘folk-royalty’ and whilst McPeake’s music nods to the past generations of the iconic McPeake Family. They have journeyed to new territory; from their mix of Folk, Indie, Trad, Americana music; they’ve created TradPop! Mixing heart-pumping instrumentals and heart-stirring lyrics with innovative use of traditional instruments alongside contemporary song writing; they create a new perspective on an old genre.